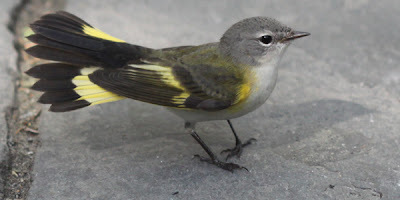 Corey Finger, an avid birder who chronicles his sightings on the blog 10,000 Birds, recently posted fabulous photographs of warblers he spotted in Bryant Park. 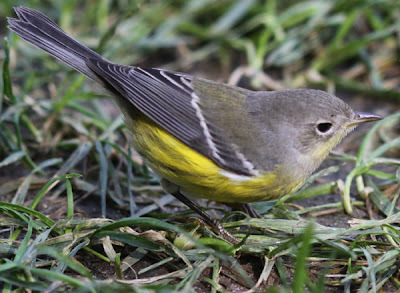 According to Corey, the park hosted a "warbler bonanza" in the last days of September. While migrating south for the winter, the birds stop in our midtown oasis to refuel for their long journey...not unlike the midtown workers who refuel with lunch in the park before heading in for the long afternoon stretch in the office! Corey is one of three main contributors to 10,000 Birds and frequently posts photographs from his birding trips in and outside of New York City. Check out more of his images from Bryant Park here. 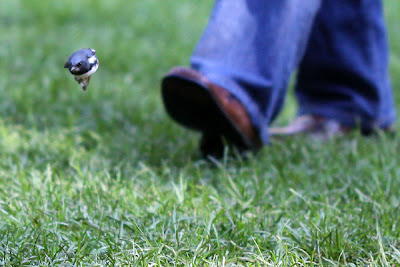 For the chance to train your birding eye and spot these species yourself, join us on Wednesday mornings through October 27 for the fall extension of free Birding Tours of Bryant Park. Tours meet at 8am on the corner of 42nd Street and Sixth Avenue just inside the park, and are presented in partnership with the New York City Audubon Society.